[prMac.com] Naarden, Netherlands - Today, AirBeamTV presents the new app "Mirror for Mac or Windows PC". With this app every iPhone or iPad owner can mirror the display of their phone or tablet on a Mac or PC. The idea for the app arose from the demand of app developers and other professionals who could not find an easy wireless alternative for presenting the content of their phone. "Nowadays it is common practice to connect your computer with a cable to a projector or large TV screen during presentations or demonstrations. Our new app makes it possible to share your phone screen with the same setup without the need of an AppleTV or additional cables," says Jan van Ottele, CEO of AirBeamTV. In addition, according to Van Ottele, the app is excellent to use in a classroom or training environment. "Especially when teaching at external locations, it is usually not practically organized in terms of technology and you are dependent on the computer systems present. However, with our app you can always share videos, photos and apps from your own phone, as long as the computer or screen you are viewing them is connected to the internet and has the free Chrome browser." Mirror for Mac or Windows PC 3.3.1 is free to download in the App Store. Users can test the app free before upgrading to the paid version ($4.99 in the US App Store). The premium version has no time limits for mirroring and supports lifetime updates. For both the free and the paid version, everyone can count on fast and free customer service. 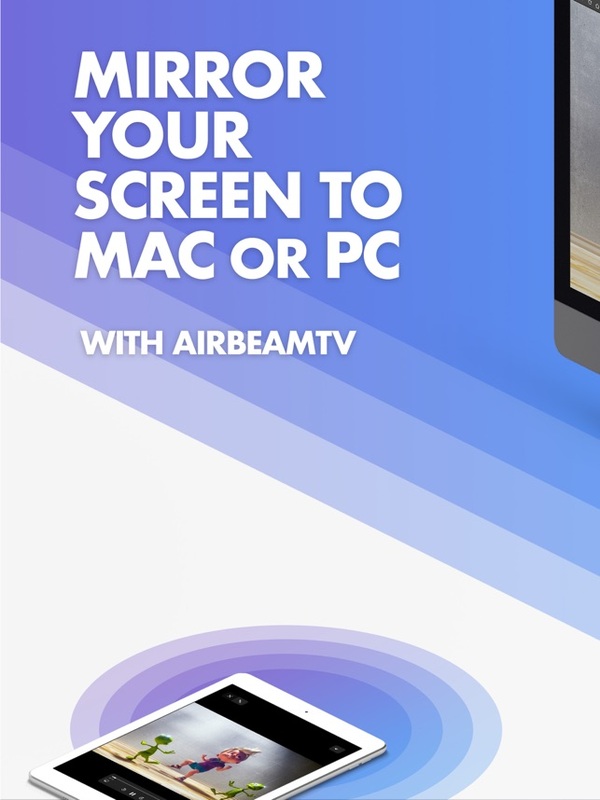 Since 2014, AirBeamTV is the market leader in easy and smart "screen mirorring" solutions for Apple's iOS and MacOS devices such as iPhones and MacBooks. The company sells screen mirroring applications for most major TV brands, including Samsung, LG, Sony, Panasonic, Philips, Roku and many more. From the picturesque village of Naarden, The Netherlands, a diverse and motivated team of programmers works daily on developing and improving innovative apps. All Material and Software (C) Copyright 2014-2018 AirBeamTV. All Rights Reserved. Apple, the Apple logo, macOS, iPhone, iPad, iPod and Macintosh are registered trademarks of Apple Inc. in the U.S. and/or other countries. Other trademarks and registered trademarks may be the property of their respective owners.